Operating much like a restaurant with lunch and dinner services, Taste of Toronto is comprised of six half-day sessions that last between 4- 5 hours which gives our guests the time to enjoy their pick of restaurant dishes, browse the artisan stalls and enjoy some of the many attractions including the Taste Theatre, Metro Master Classes, the Tasting Room, a Delta Air Lines VIP Lounge and a Music Stage. Being new to Toronto I grasped at the opportunity to see what the food scene had going for it here. I headed out early on Friday night to get my hands on whatever I could without waiting forever (lines are the death of festivals). My first dish was the Crispy Black Vinegar Chicken shishito pepper, cucumber, toasted peanut, cilantro aromatic glaze from Bosk. It was rated as the gold winner for best dish, that being it should be one of the standout dishes of my night. 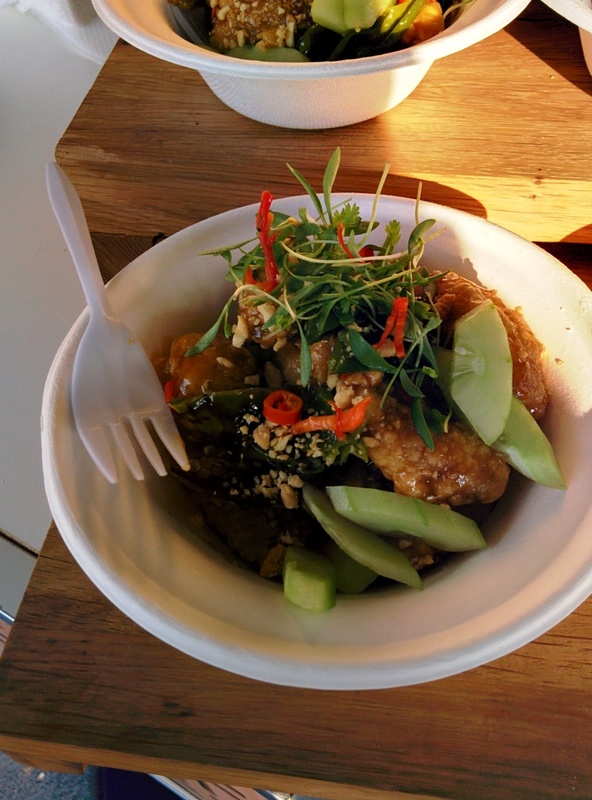 It unfortunately was not, the dish in my opinion was lost with during the mass production for the festival, the chicken was juicy but the coating wasn’t crispy, the flavours weren’t prominent or balanced, it was sweet, slightly vinegary and not at all tangy. 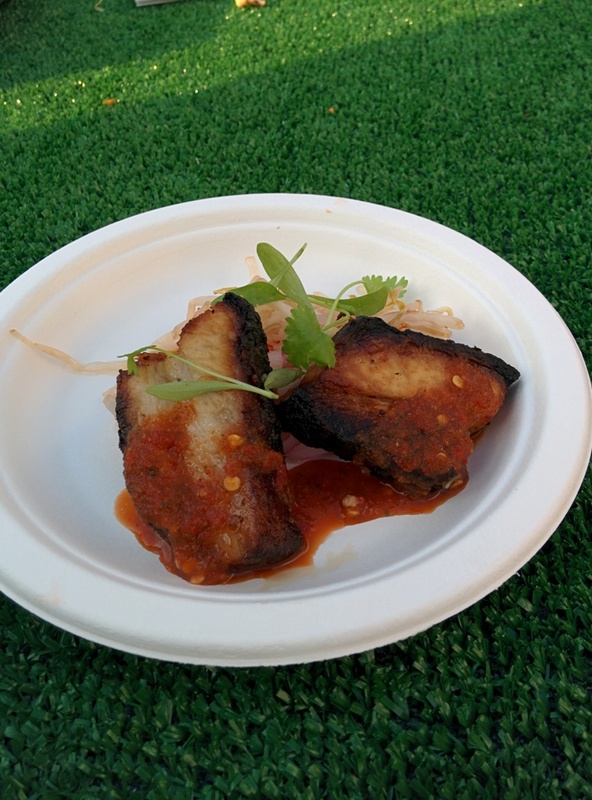 Second up I went looking for the Babi Panggang, Roasted Pork belly with fresh chili sauce served on a bean sprout & red onion pickle salad from Little Sister. I had heard many a things about it and was excited and thankfully this didn’t disappoint. The pork was done amazingly, flavourfully spiced outside with a soft fatty inside pairing perfectly with the chilli sauce and refreshing salad, a definite winner. The thought of Morimoto’s Toro Tartare with caviar, sour cream, wasabi and dashi soy had my inner gluttons interest peaked so I wandered over, intermediately checking out the stalls of local produce and listening in on the master classes going on until I found the right stall. The main thing to remember when you’re going for expensive ingredients such as toro and caviar is that it’s quality , not quantity because the tartare was tiny! Absolutely delicious but had I not shown self control it would have been over in 2 bites. After walking around again and seeing lines for everything (I’m not a patient man), I settled with trying the Braised Pork belly with Peanuts, KFC and Thai basil from Splendido. it came out as was a nice hunk of Pork coated in a couple of sauces with few fried brussel sprouts. The dish was well constructed and everything worked but it was very very rich. 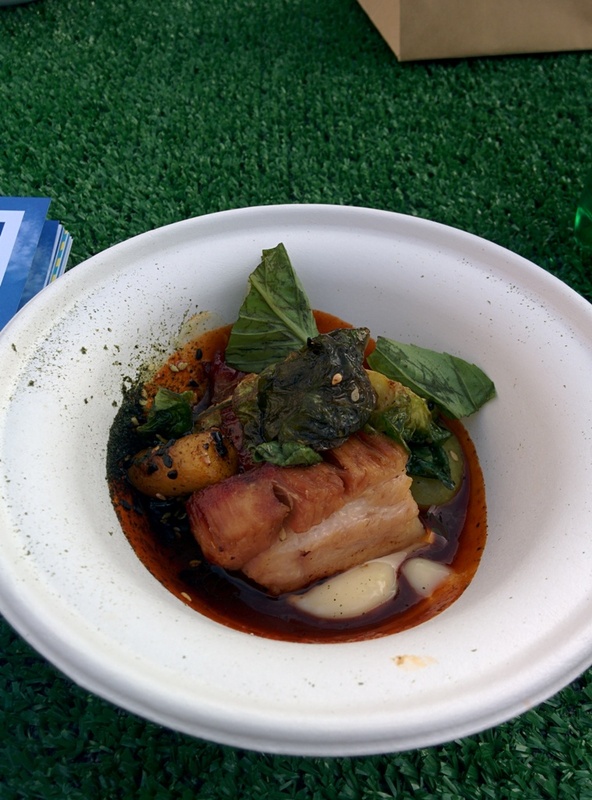 The taste of Toronto was for me a mixed bag in terms of eats, my main concern the cost of $30 entry ($19 if you pre booked) was a high price to pay for even higher priced hit or miss tapas. 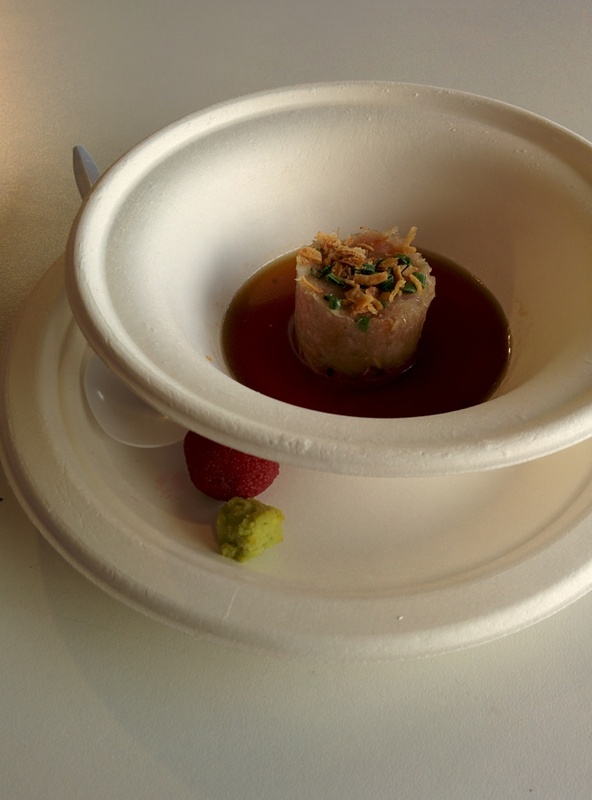 Posted on July 25, 2015 October 13, 2015 by AdrielPosted in Canada, SteakLESS, TorontoTagged bosk, little sister, morimoto, splendido, taste of toronto, Toronto.